Decking and Walkways are 100% weatherproof with an anti slip finish. 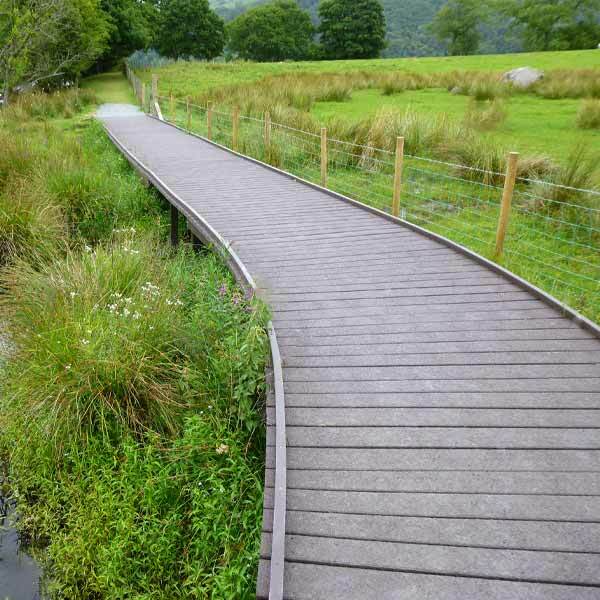 Suitable for woodland walkways, bridleways, boardwalks and bridges where safety and performance are essential in high slip risk areas. Recycled Furniture can supply you with the highest quality decking at competitive prices. Why Choose Recycled Plastic Decking? Please call 0800 1777 052 to discuss your requirements.